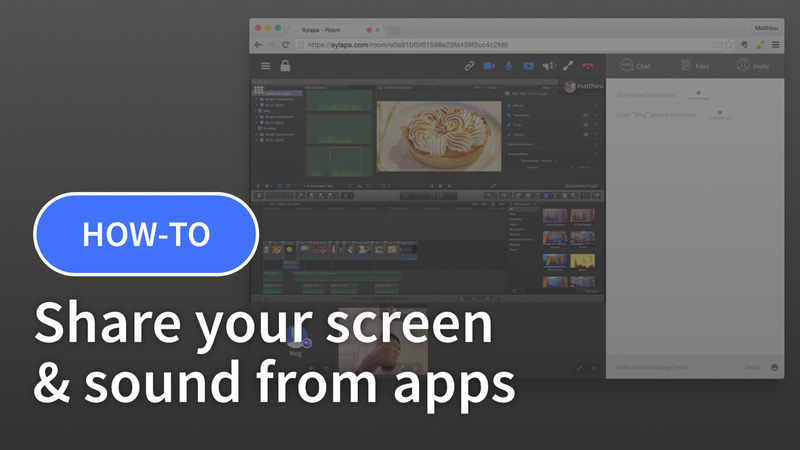 This feature is very convenient to show your work from applications like Adobe Photoshop, Premiere, FinalCut, Logic or any others. However, many professional users ask us regularly how to share the sound of an app like FinalCut, Adobe After Effects, etc. Unfortunately, there is no way for a website (including Sylaps) to access the sound of your applications or OS, it’s technically impossible for security reasons. But there is a simple solution: using a software to mix both your microphone and sound of the application that you want to share in a virtual sound source. 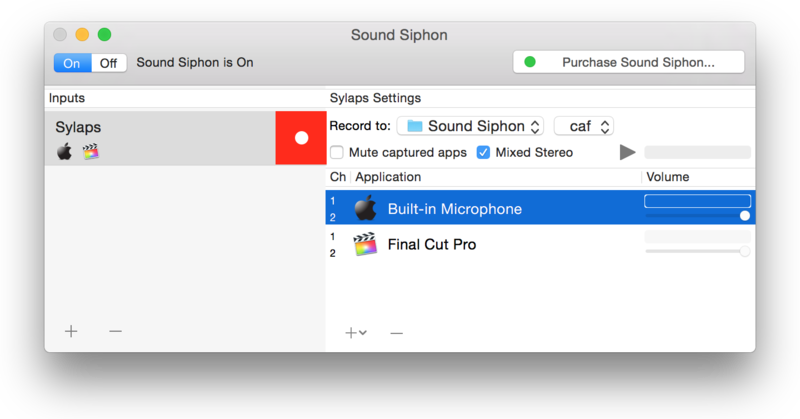 On Mac OS, you can download Sound Siphon or (soon) LoopBack. On Windows, use the stereo mix feature. When everything is ready, press the On button to the top left corner. Then go to Sylaps.com, Start a conversation and invite your team or client. 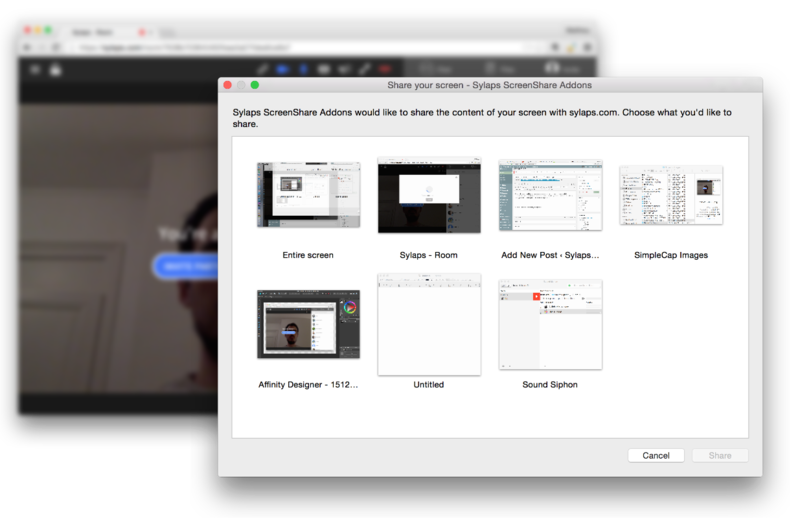 Don’t forget to click on the camera icon in the address bar to switch from your regular microphone to the input you created in Sound Siphon. You can now start sharing your screen and people will hear you & the audio from your app. Thanks for that great post / walk trough. 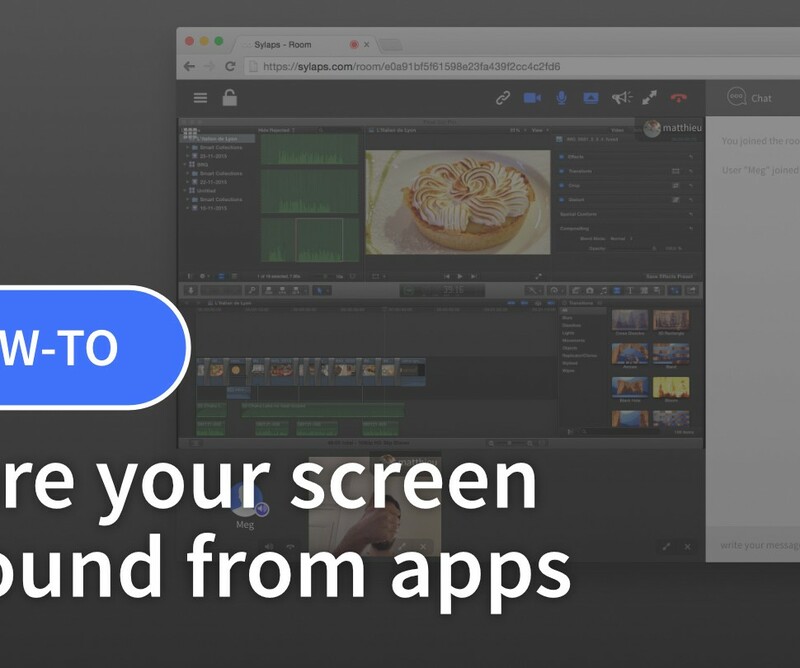 It will be great to try this feature with my clients using NLEs and after effects. Thanks!